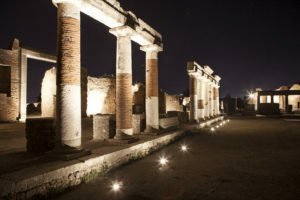 On Monday I had the honour and the pleasure of attending the grand opening of a new experience at Pompeii. 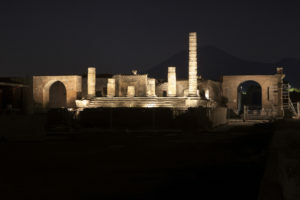 Thanks to my hosts ENEL, who supported this project and my trip, I was among the first to see Pompeii in, literally, a new light. 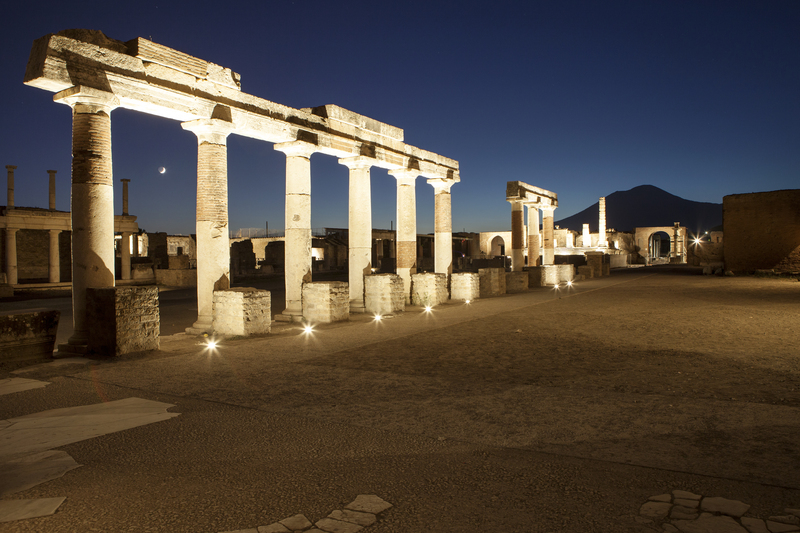 Starting this week and for the rest of the summer, the public is invited in to Pompeii at night for the first time. 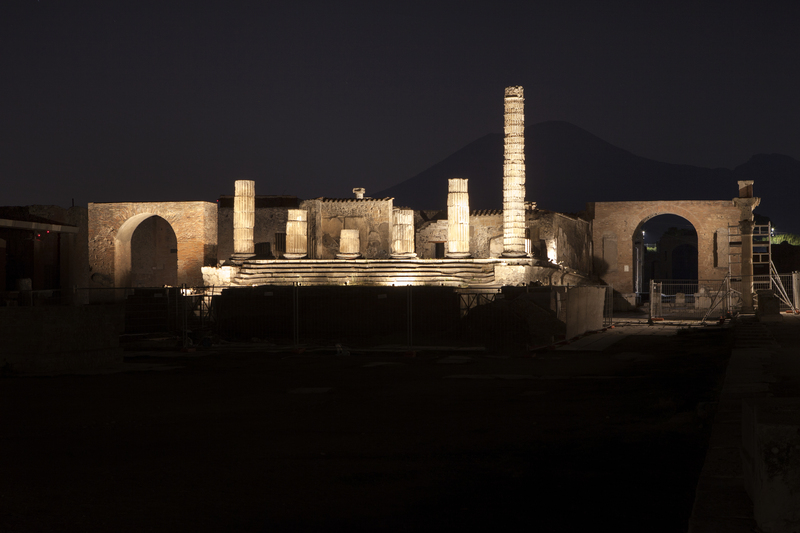 As the sun sets, reducing Vesuvius to a looming shadow, you’re transported back in time through careful lighting and a rich soundscape. 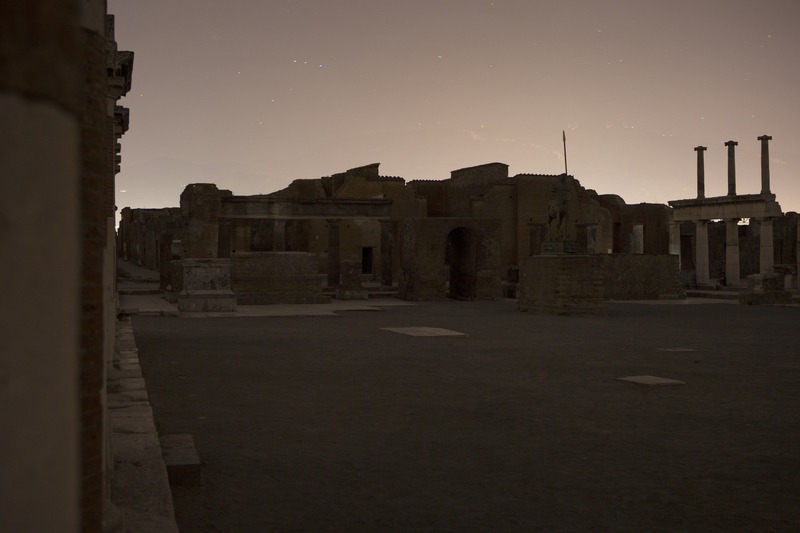 Pompeii, under the stars, to lyre music…it was ethereal. It was also very real. 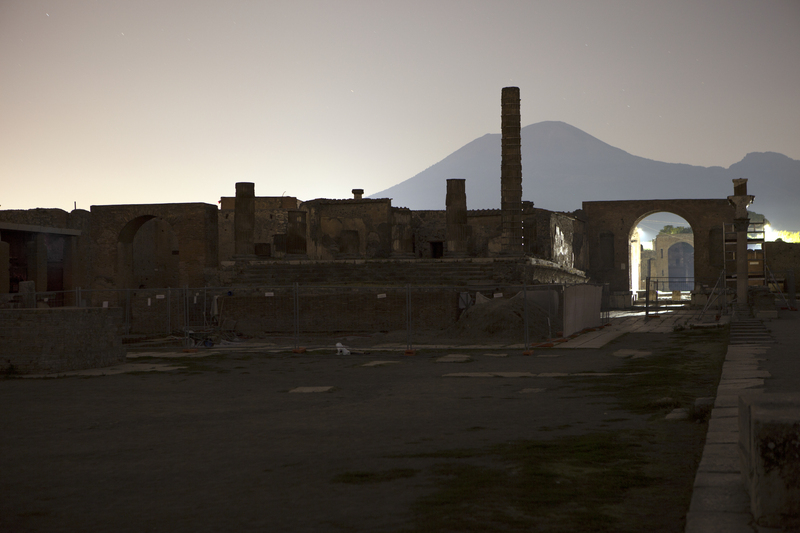 Much more so than in the daytime, Pompeii at night feels like a real city, a living space. It was spectacular. It was moving. The night tour of Pompeii is part of “Campania by night. Archaeology under the stars” (yes, I’ve got goosebumps too). 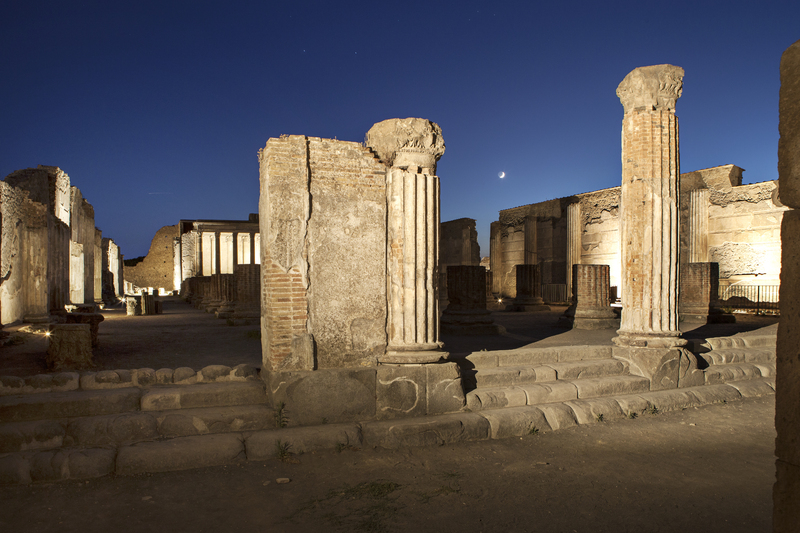 It is one of a number of archaeological night-time transformations that are going to be offered eventually: Paestum, Herculanium, Oplontis, a night time trip around the top of Vesuvius, and others are on the list. 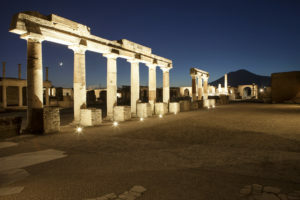 Right now Pompeii is only on Tuesday and Thursday nights through July and August, and for the low cost of €11 you get a 75 minute tour and no more than 50 people will be inside in one go. Understand that 50 people in a city that held 11,000 is pretty much “there on your own”. If you’re in the Naples area, seriously, it’s a pretty solid time and money spent. 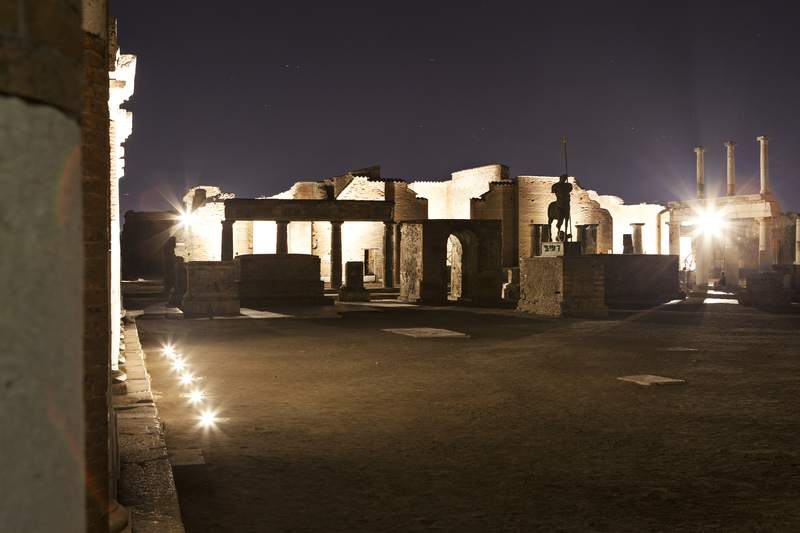 Bring your camera, it’s pretty. But there was more going on here. 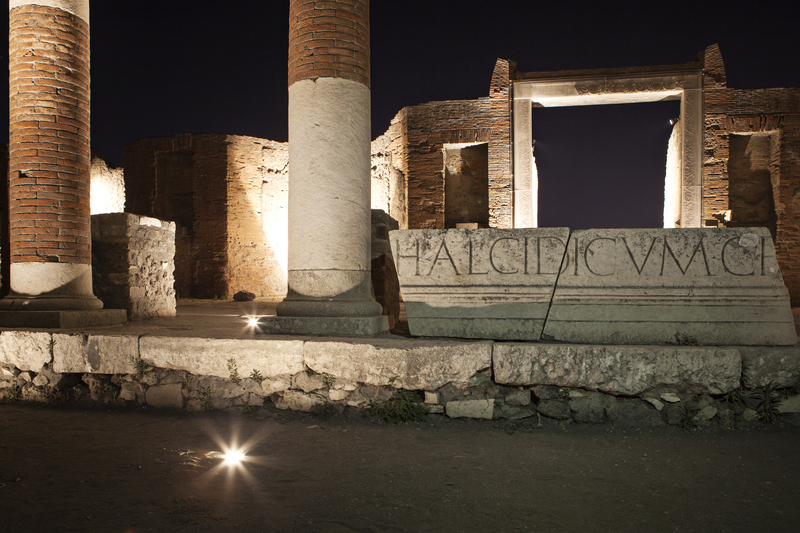 Thing’s haven’t been great at Pompeii recently. 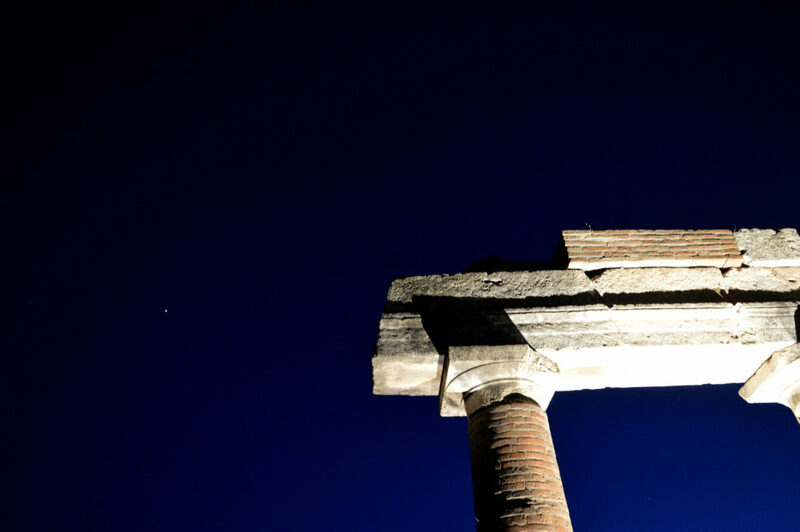 There have been wall collapses, fresco thefts, corruption allegations, and what have you. 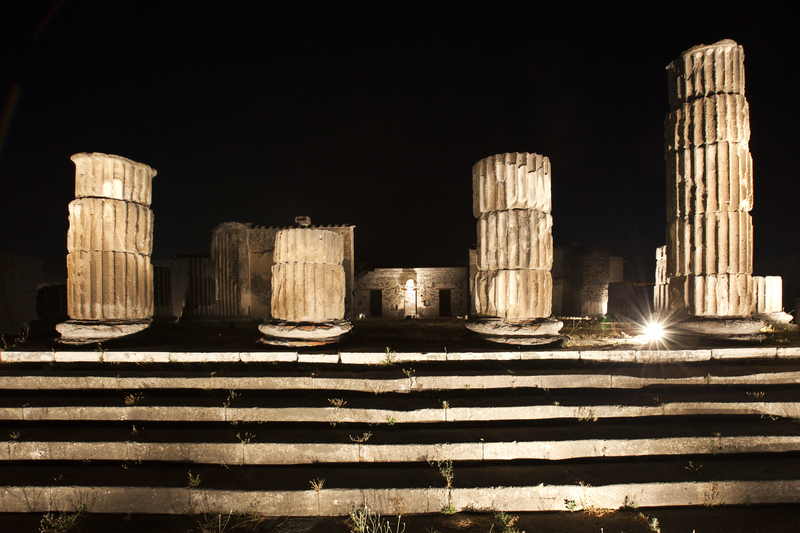 Much of this has received a LOT of bad international press, making Italy look quite bad. 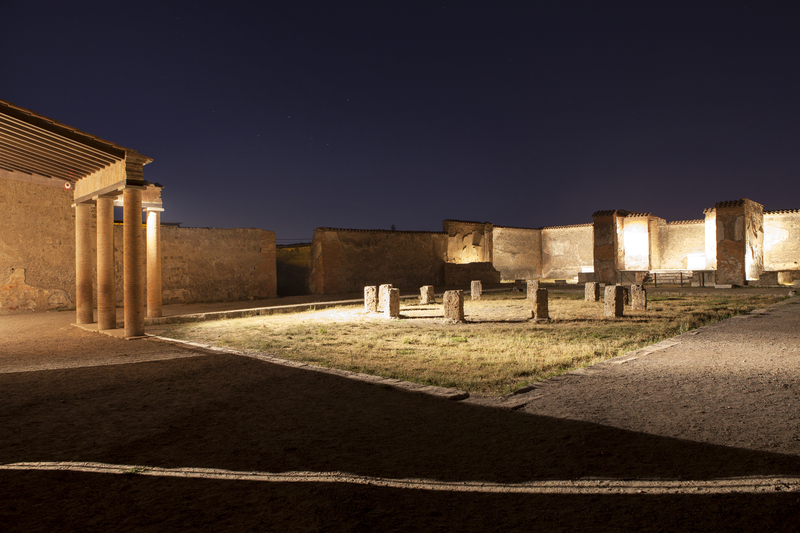 This Archaeology under the Stars project, then, is meant to be the capstone of change. 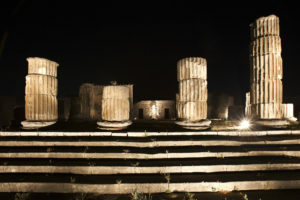 Symbolic of renewed care and commitment to the site and its visitors. 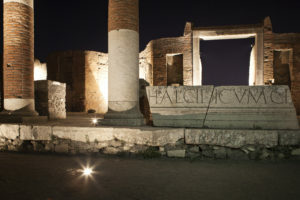 According the Minister of Culture Dario Franceschini and Site Director Massimo Osanna, who spoke at the opening, developing the night experience at Pompeii is just one of a number of different improvements that they have been making at the site. 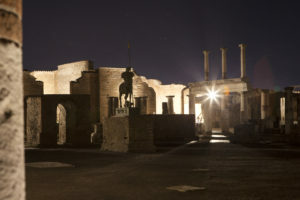 Franceschini noted that the week after he took office, a wall fell down at Pompeii, earning really bad international press, and from that point forward he felt committed to changing both how Pompeii is seen externally and how it ran internally, noting that this was among the most famous archaeological sites in the world and should be a beacon for good practice. He didn’t mention the corruption allegations directly, but that was sort of unsaid. My translator knew about them. Really he just mentioned the walls falling down, but the rest was understood. 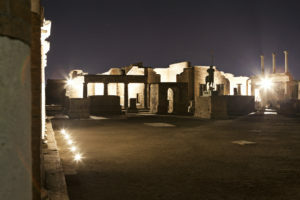 As for other improvements, for example, they’ve built series of new pathways to provide better accessibility to the site for visitors with mobility issues, with some actual wheelchair access (pretty good, one doesn’t think of Pompeii as being a wheelchair friendly space). 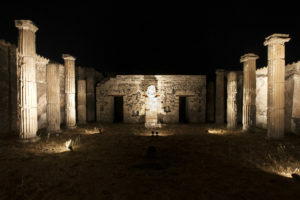 They have also built new exhibition space to allow non-static contemporary exhibitions to complement the site: currently they have a small exhibition on looted and fake artefacts that had been seized by police (I was all over that, expect a blog entry for sure) and an exhibition on Picasso at Pompeii. They’ve been trying to use the site for plays which has been popular (my translator had been a few times and loved it), and now the piece de resistance, opening the forum area of Pompeii to visitors at night. One thing that came up in a speech by the…(sorry not remembering properly here) Minister for regional development, was that a number of mayors of regional villages were in attendance. 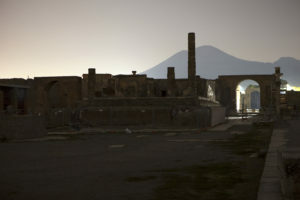 There was hope, he said, that if tourists could come to Pompeii at night, they might be tempted to stay in one of the beautiful villages nearby, and not just stay in Naples or Sorrento; that the tourism wealth might be better shared. 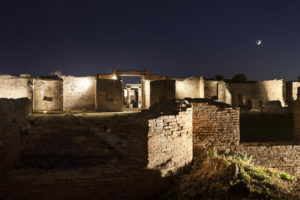 The benefits of archaeological tourism are not spread evenly, and anything that spreads the money out a bit is a good thing. It was great. 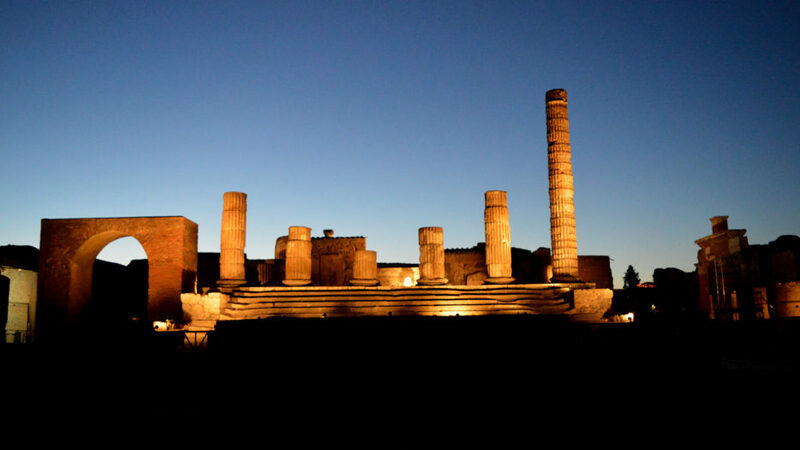 I had spent 5 hours climbing around Pompeii before this event, baking in the sun and dodging massive tour groups. 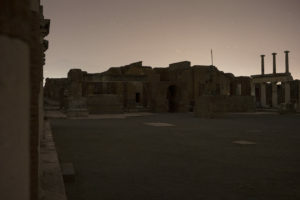 As the sun set, the temperature dropped, and everyone else left. 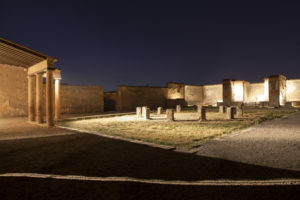 I and about 50 other people (again, this is a TINY number in the big site) were left to our imaginations, augmented by voices and lyre music, and tasteful lighting of the site. My guide was an archaeologist himself and, while making sure I didn’t trip on anything, translated the words for me, answered my questions, and helped my imagination along. I really did, in a nerdy way, find it easier to transport myself back in time in this situation. 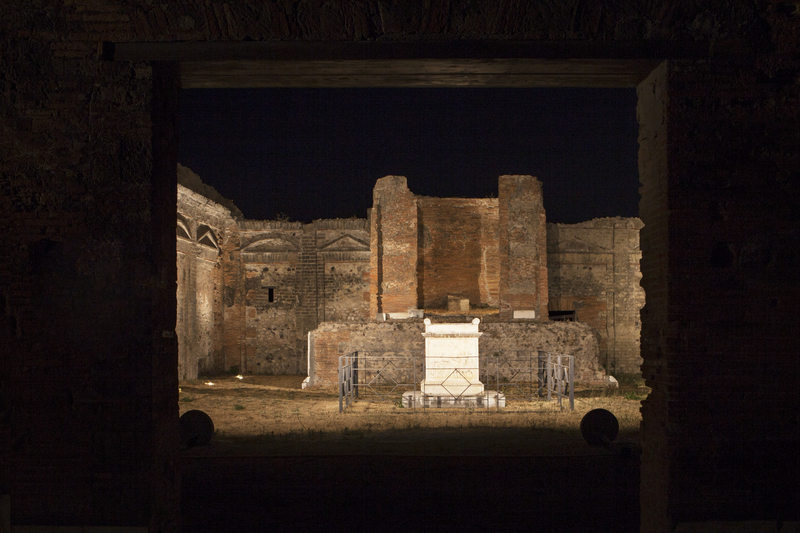 In the darkness, it was less obvious that I was in a ruin and I could imagine it as a living space. 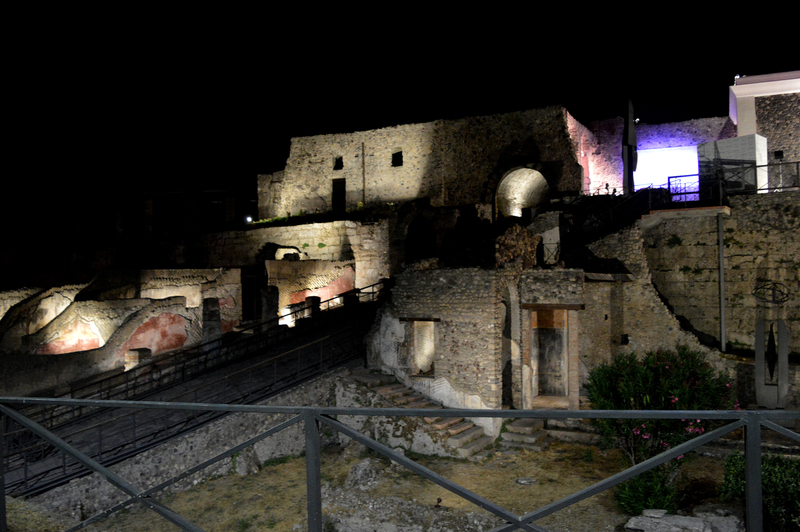 Even my wonderful Neapolitan translator, who knew the site well, was in awe: she kept saying it was an honour to be there. 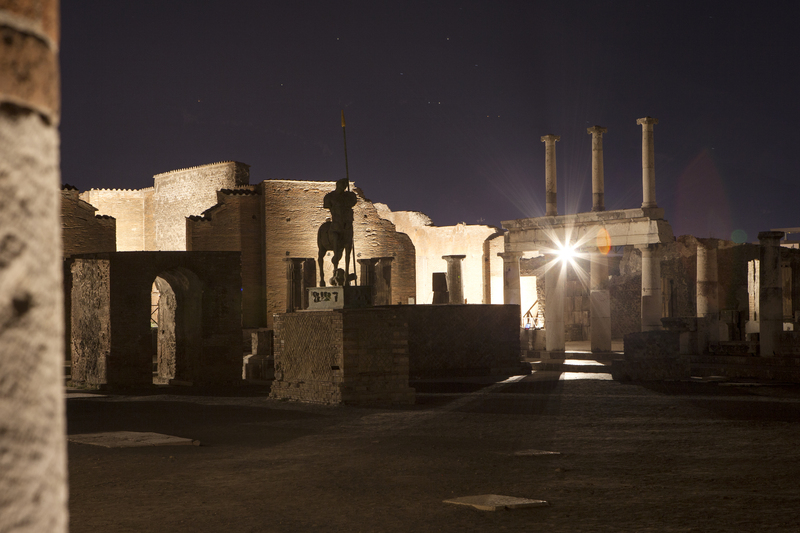 This was Pompeii the Roman city, not Pompeii the archaeological site or Pompeii the tourist destination; a place we rarely get to visit. It WAS an honour to be there. 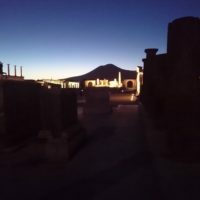 I took the other photos in this post, but I didn’t take those below. They were provided in the press pack by ENEL. They are significantly better than my photos, much more representative of the feel of the event. Have a look. Final note: thanks ENEL for flying me in and hosting me! I really appreciated being a guest at this event. I won’t soon forget it.